A recent article, “Outshining the Competition” in the April edition of Business in Focus, takes a glimpse at our history and the challenges we’ve faced. For over 25 years, we have partnered with companies small and large to provide you with a solution. 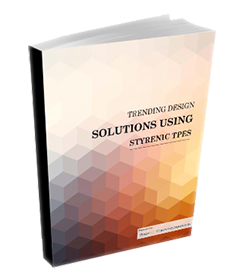 We partnered with you to dig deep into your material needs and determine a solution that would not only fix the problem but improve upon it. Some of our greatest products have come as result of these relationships. If only one-third of businesses make it to 10 years, we are very proud to be thriving after 25 years in business. The economy and plastic industry have influenced the evolution of our business. In the late 2000s, when PVC started getting banned in toys, household products, and medical devices, there was a need for suitable replacement material. The dangers from the by-product gas when disposed of and the long-term exposure becoming carcinogenic, created a need in the industry we had to address. This void in the market led us to develop the StarMed® TPE line and other products suitable for what were previously flexible PVC applications. The change in government regulations on flame-retardants opened the door for us to deliver more complex material solutions. Successful formula alterations allowed us to offer non-halogenated flame-retardant elastomer solutions. “We service a variety of industries, and one of the beautiful things about our business is that there’s hundreds of different little applications that improve how we live on a daily basis. This makes it so much fun,” says Tom Dieschbourg, President of Star Thermoplastics. It has been our goal from the beginning to serve our customers, do the right thing, be growth-oriented, and believe that a solution is always possible. We thank you for working with us over the last 25 years. 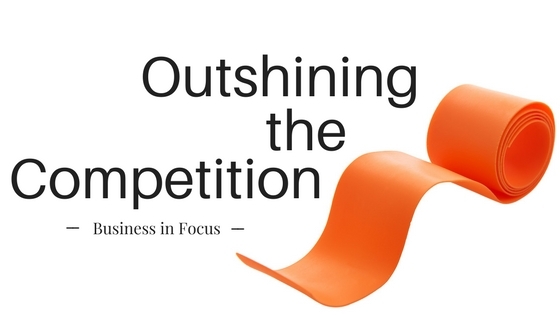 Read more from the “Outshining the Competition” article inside the April issue of Business in Focus, page 78. Or click to page 78 below. We promise we won't fill your inbox.